I don't usually do review for any diet pills or supplements but when I was contacted to do a review about Inversion Femme, I did a little research and I was quite intrigued from all the good reviews I read. It was also timely since I have to lose weight because of health reasons, plus the weather that really isn't very friendly with my skin, hair and nails. So, I decided to do it. 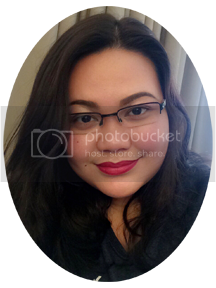 Aside from my weight, my main problems are my dry skin on feet, weak hair and brittle nails. Although I have quite thick hair, it is very alarming to see lots of hair falling whenever I combed. My nails are brittle and easily get cracked that is why I cannot let it grow longer. My skin became a little dry because of the weather, even if I put lots of moisturizer at night. A unique daily formula which helps you to regain and preserve the health and beauty of your hair, skin, nails and figure. It provides antioxidants directly to your body and also provides ingredients which help the body regenerate and support antioxidants itself. It also contains ingredients which have a complimentary effect on thermogenesis and hence on maintaining the figure. Recommended for women with hair falling and thinning, skin wrinkles and dryness, brittles nails and has an extra benefit on slimming the figure. Inversion Femme is also recommended for all women above the age of 35 (except during pregnancy). After 35 years of age, signs of ageing start to show on everyone – it’s normal – Inversion Femme helps to slow down these effects on your hair, skin nails and has an extra benefit on the figure. When I received the boxes of Inversion Femme, I read the instructions and the details thoroughly in the leaflet included in the box. Although it is written that is mostly for multivitamins purpose, I've consulted my doctor about it since I am taking some medicines as well. My doctor said it is ok to take it even while I am in my medication. So I started using it a week after I received the boxes. 1 box contains 90 capsules. 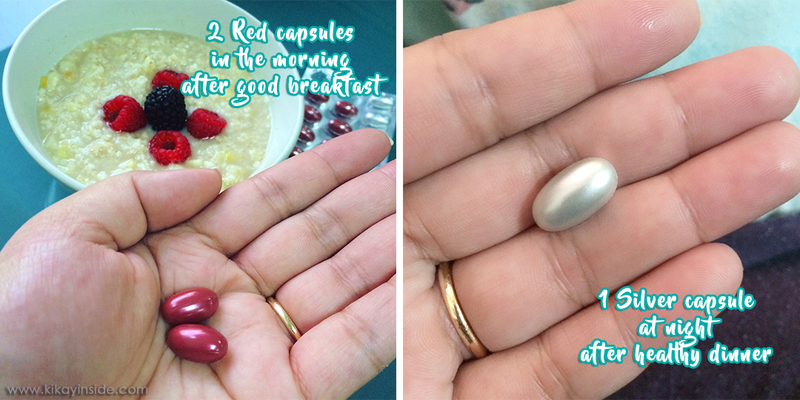 2 Red capsules should be taken in the morning after good breakfast and 1 Silver Capsule to be taken at night. During my first week of taking Inversion Femme I really didn't notice any changes. I was kind of impatient in waiting for results but good thing that I continued taking them. In less than a month I already noticed a slight improvement in my hair. It is softer and tamer than my usual hair days. The breakage was also lessen. I've been using the same shampoo and conditioner ever since so I'm sure that the improvement wasn't just because of those. While my hand nails noticeably hardened and the crack were lessened. The skin on my feet were slightly better that before. I also lost 4.5 lbs in 3 weeks time. It is not much because I'm lazy but I'm getting there. Well, of course, just like any other weight loss techniques, I've cut-off some carbs and oily food intake. I also ate more fruits and vegies as well to help in better digestion. In just 3 weeks time, it is quite remarkable to have such improvements. Although I am really impatient in waiting for more improvements, I am sure to continue taking these magic pills. The price is a little costly compare to other multivitamins but having such improvements, it is definitely worth it! I'll be posting updates in my social media accounts. I really love sharing good products with real results. Inversion Femme is available in major pharmacies here in UAE. Have you tried Inversion Femme? What are the effects on you?